My kids are working on a backyard vegetable garden this year, and it’s looking very promising! Our yellow squash plant seems to be taking over, and I think we will be enjoying lots of squash this summer. Here’s our first little yellow squash (so cute!) and my squash creation. Summer squash, with a ton of extra goodness! The dilemma? My kids don’t like yellow squash! In anticipation of a bountiful harvest, I bought some yellow squash at the farmers market at went about tweaking my other recipes to make some delicious (yet healthy!) squash muffins. Sneaky, you say? Maybe, but along with the vitamins that they will be getting from the squash, this recipe also contains flax seeds, molasses and maple syrup. All extra bonuses for this delicious breakfast (or snack). 1 C pureed yellow squash (I steam it for about 5 minutes until soft on the stove then puree it with some of the steaming water in my food processor, then cool). 1. Preheat oven to 350 degrees F. Lightly grease muffin pan. 2. Whisk together flax seed meal and water. Mix in maple syrup, raw cane sugar, safflower oil, squash, and molasses. 3. In a large bowl, stir together all-purpose flour, whole wheat flour, baking soda, cinnamon, salt, baking powder, and pumpkin pie spice. Add flour mixture to pumpkin mixture; stir until smooth. Pour batter into prepared pan. 4. Bake in preheated oven for 25-30 minutes for muffins, until a toothpick inserted into center of the loaf comes out clean. Rating: A++! My family LOVED these, including one particular daughter who claims she doesn’t like ANY squash. She asked for seconds! 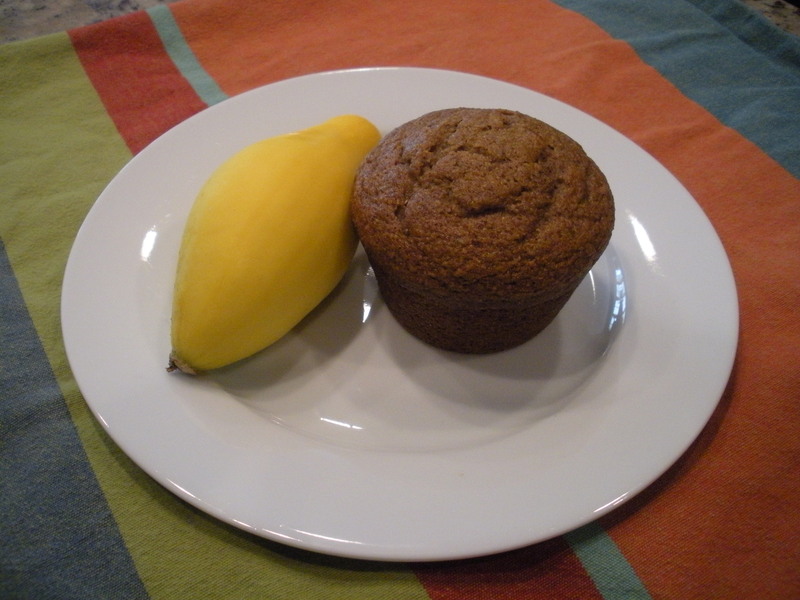 So, while I work on getting my kids to enjoy sauteed yellow squash in the future, we’ll enjoy these squash muffins. Options for next time: Chopped walnuts! This entry was posted in Heather's Top Rated Recipes, Quickbread Recipes and tagged muffins, squash, vegan muffins. Bookmark the permalink.